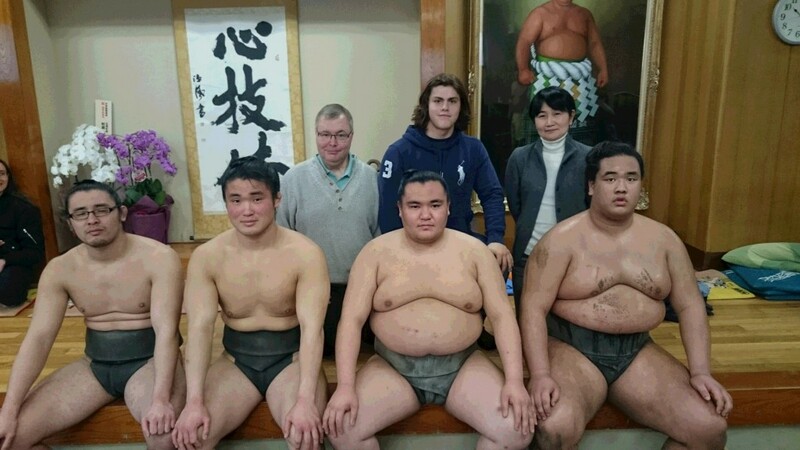 Our officially certified guide comes to meet you at your hotel and gives you basic guidance on how to properly watch a sumo practice at a sumo stable. 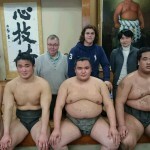 - Watch sumo training session with knowledgeable sumo tour guide. - Stroll around vicinity of stable. Starting early in the morning, wearing barely nothing even during the Japanese freezing winter, sumo training keeps the path of "budo" martial arts and ancient traditional Japanese customs. 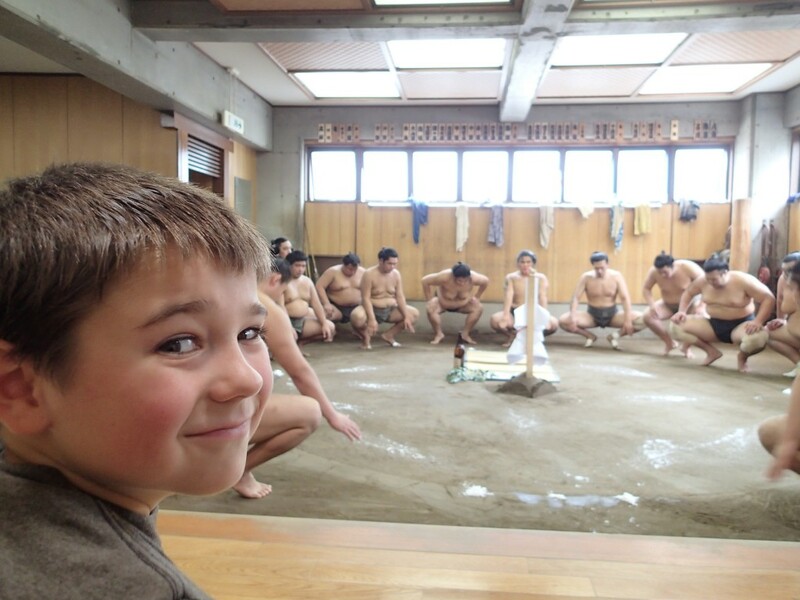 The Shinto religion is deeply rooted and the members of the sumo stable "sumo-beya" not only compete but eat and live together in a strict hierarchy of rules displayed also in the training. * Beginning time may vary depending on the stable schedule and meeting place. Our tour operator will inform the actual meeting time after the confirmation of your booking. *The stable schedule is subject to change and may vary within duration of an hour ~ 2hours. 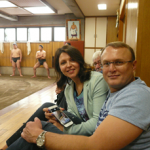 In case the training duration is only an hour, we will have Ryogoku walk until the end of this tour. * In case stable needs to accept as many visitors as they can, they may ask you for cooperation to wait at the entrance of stable until the other group arrive. Also, there might be a case that your private tour guide may be requested to be temporary absent during training session. ◆In the end of February and March, a tour is offered in Osaka . Please check the detail here. ◆In June and July, a tour is offered in Nagoya . Please check the detail here. Guiding fees, transportation fee from hotels using public transportation such as subway or JR. In case you prefer to use a taxi or hired car, an actual expense will be charged. 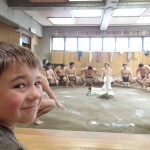 ◆This program is not possible for children under 11 years old and people with mobility issues, as guests will be asked to sit down on the tatami or the wooden floor with flat cussion, without a chair, for a couple hours in the sumo stable. ★Before you visit a stable, remember to read following Recommendation and Guidelines you need to follow. ◆Please advise us if you have any religious or health restrictions, allergies, or the case where you would like to request a special care for participants, including children. Please email us info@truejapantours.com to check an availability and share the information. ◆Our services are mainly offered in English. In addition, services in other languages, such as Chinese, French, Spanish, German, Italian, Russian are also available. In case you would like services in languages other than English, please inquire us at info@truejapantours.com　as soon as possible. We will check an availability.